The promoter of the Promotion is Les Mills International Limited (“LMI”), 22 Centre Street, Auckland, New Zealand. Reebok International Ltd ("Reebok") is not a promoter or sponsor of this Promotion. Reebok has no responsibility in relation to the Promotion including, without limitation, no responsibility/liability for the rules, execution, and/or terms and conditions of the Promotion. To the extent permitted by law, by entering this Promotion, Entrants agree to completely release Reebok from any such responsibility/liability for the Promotion, or anything relating to the Promotion. are not employees or contractors Les Mills. To qualify to enter into the prize draw, simply go to lesmills.com/us and sign up to receive the best and latest health and fitness news and offers from Les Mills by entering your contact details. “Les Mills” means LMI and all subsidiaries and affiliate companies from time to time owned by LMI that provide fitness-related goods and services under the Les Mills brand. 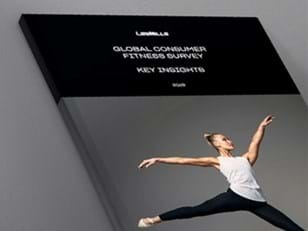 For more information, go to https://www.lesmills.com/privacy-policy/direct-marketing/. Once you register your details, you will be eligible to win a prize. Entry into the competition is automatic, provided that you remain signed up to receive emails from Les Mills. If you are already a member of the Les Mills US email database, you are automatically entered in the prize draw. Entrants will only be eligible for one entry into the prize draw every month. LMI reserves the right to request that an entrant provides proof of identity. Every month that LMI runs the competition, entrants can win a prize of one Reebok gift voucher to the value of US$100 redeemable at reebok.com/us. During the first week of every month, one winner from the Les Mills US email database, will be selected randomly by LMI (or LMI’s nominee) from all the people who are signed up to receive emails from Les Mills in the previous month. LMI’s decision will be final and binding. LMI will not enter into any discussions with any person in relation to the award of a prize. Prize winners will be notified by LMI once a prize draw has been made using the email address supplied in the online form. In the event that a prize winner cannot be contacted within 7 days of a prize draw occurring or if LMI determines that a winner is not eligible to win a prize, a further prize draw will be made by LMI and the prize allocated to the new winner. The prizes are not transferable or redeemable for cash. LMI reserves the right to substitute a prize for one of equal or greater value if the designated prizes should become unavailable for any reason. If for whatever reason, a prize winner that has claimed a prize does not or cannot accept the prize, then the prize will be forfeited. Cash will not be awarded in lieu. The prize winners will not receive the difference between actual cost and approximate retail value. Except where prohibited, by accepting the prize, a prize winner consents to Les Mills using the prize winner’s name, likeness, photograph, home town/country, for promotional and media publicity purposes in any media, worldwide, without further payment or consideration. The prize winners are solely responsible for all insurance, applicable taxes and customs duties and any other expense not specified in the prize descriptions. 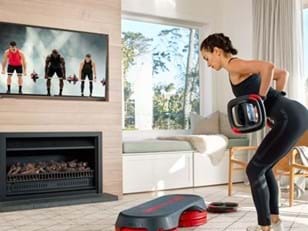 Les Mills and/or Reebok will not be liable for any loss or damage whatsoever suffered (including, but not limited to, direct, indirect or consequential loss) or personal injury suffered or sustained in connection with either participation in this Promotion or with the prize offered. You will indemnify Les Mills, Reebok or any of Reebok’s affiliates for any loss or damage suffered or incurred by them as a result of any claim arising from your entry in the Promotion. LMI will not be liable or responsible for any entries that are not uploaded or fail to upload correctly or otherwise late, lost or misdirected or if a winner cannot be contacted due to incorrect or out of date contact details being recorded in the online form. LMI reserves the right to vary, suspend or terminate the Promotion or to disqualify any Entrant or Entry at any time. Entrants may be required to provide identification and proof of age.